Most of you have been told before that you should stay calm between points and control your body language. Nevertheless, very few tennis players actually accomplish this task and many even believe that it is better to let your anger out. 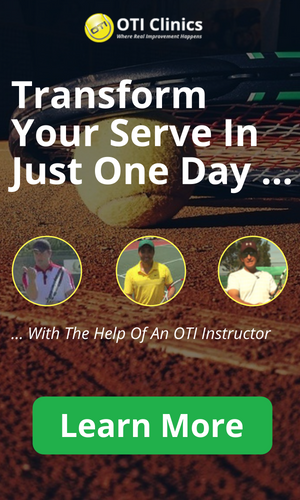 Frustration is everywhere on tennis courts around the world and one of my primary goals as a coach is to help my students get rid of that frustration and enjoy the game more, regardless of their playing level. So why should you remain calm in the first place ? Sports science research has shown that, if you act confident between points and display positive body language, you are much more likely to feel that way and if you act unhappy and display negative body language, you are much more likely to develop more negative emotions! So regardless of where you are in a match and what your current internal state is; by acting confident and positive between points you push yourself more towards a positive internal state and by acting negative between points you push yourself more towards a negative internal state. As a result, it really makes no sense to “let your anger” out and leave your shoulders hanging! Now you might be asking yourself: How can I act confident when I am not playing well ? 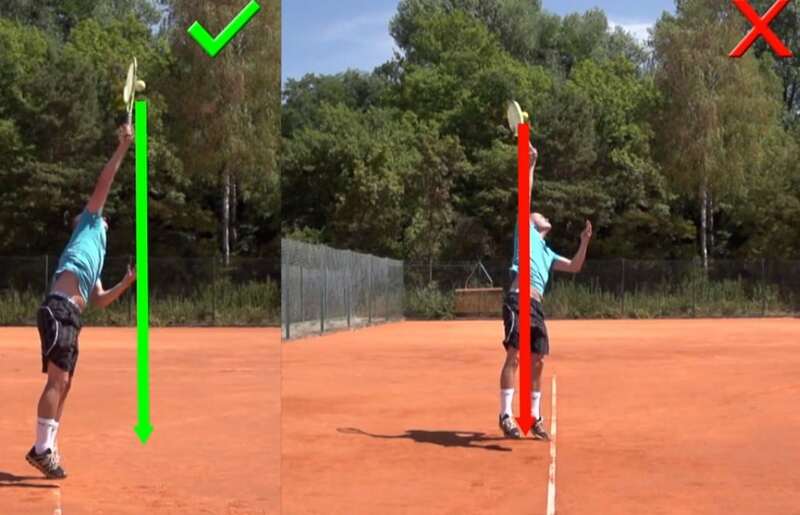 In order to act confident between points even when you are playing bad, you need to be able to put Tennis into perspective and have a strong inner belief that you will soon come back to normal form. If on the other hand you have a strong belief that your self-worth depends on your tennis performance, then it will be really difficult for you to act confident when you are not playing well! If you let your anger out between points by screaming or throwing your racket, it takes much longer for you to calm down and as a result you will not be properly prepared to play the next point! Taking a deep breath and controlling your body language simply gives you a much better chance of being well prepared for the next point and that’s why it is so important to follow your in-between point ritual, no matter what the score is! Now some of you might ask how did John McEnroe manage to do so well despite his negative outbursts ? In my opinion McEnroe is simply a rare exception with an unusual ability to go from a negative state into a positive state. Possibly he could also have done even better with more emotional self-control. Ok. So now that we talked about why you should work hard on positive body language and controlling your emotions, it’s time to talk about how you can actually do this and make a permanent change. Before you are ready for the exercise, you need to develop a good in-between point ritual; unless of course you already have one. Mentally tough players like Nadal and Sharapova have very specific in-between point rituals that help them control their emotions and stay mentally tough. In order to develop one I recommend studying some great players like Nadal, Hewitt, Sharapova or Serena Williams. Ok. So now that you have a good in-between point ritual, i’ll let you in on the most effective exercise I know for developing emotional control. Challenge Yourself To Play One Entire Set Where You Stick To Your Ritual 100% Between Points! That’s all there is to it. Extremely simple and extremely effective. The first thought you probably have is: Well that sounds too easy. I can play one set sticking to my ritual after every point without a problem. The truth is this: Developing a ritual is pretty easy. Sticking to your ritual for long stretches of time is the hard part and one entire set is already very long for most players! I have asked hundreds of students the following question: Do you think you can play one entire match without any negative body language or loud talking; simply playing each point and following the same in-between point ritual ? Most of my students will say that yes they can easily do that. So I put them to the challenge and most of them are surprised that they cannot even make it through one game without complaining about a bad shot or letting their shoulders hang for example. Those players that accept the challenge will usually have a real awakening when they finally manage to play an entire set or even match calmly, following their ritual in between points! Once you manage to do this a few matches in a row, which is extremely hard, you realize that Tennis all of a sudden is a lot more fun and you also play much better. Many players even start to feel real inner peace on the court for the first time in a really long time! In theory it sounds simple but in real life it is extremely hard to follow-through with this. Start with one set, then challenge yourself for an entire match, then tournament and so on!